Palm Springs was made famous through Hollywood nostalgia and glamour. 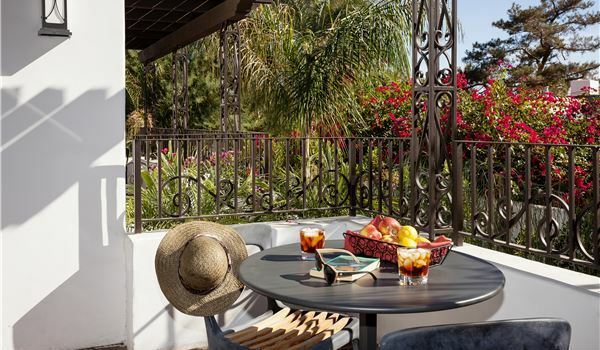 Once the playground of movie stars and singers from a bygone era, today's Palm Springs is an eclectic blend of vintage and new. At Triada, we embrace this majestic history and complement it with modern charm. 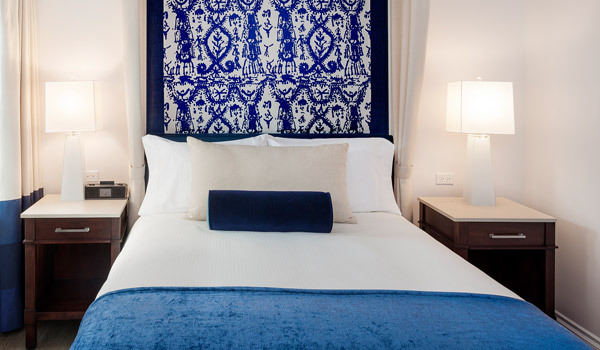 Each of our 56 rooms and 21 suites offers nothing but the finest linens, furnishings and amenities. 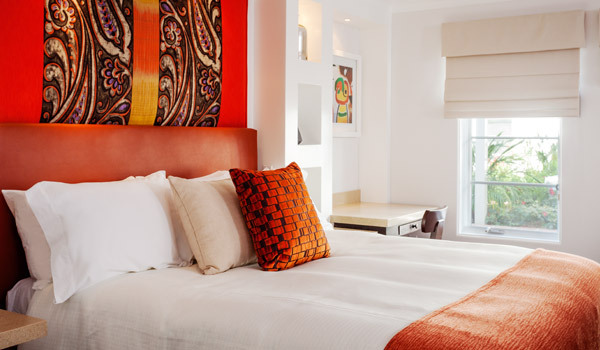 Pillow-topped mattresses, high thread count bedding, imported duvets and throws all ensure a perfect night's sleep. 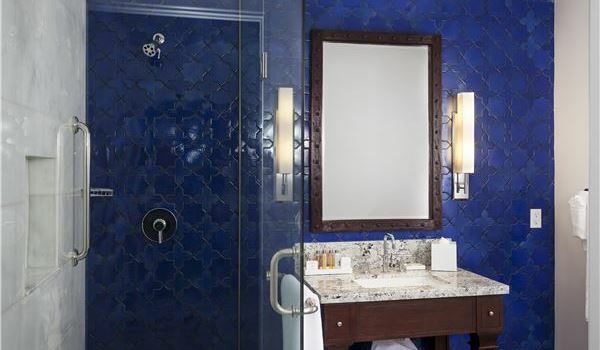 Marble bathrooms and organic toiletries promise an enticing blend of relaxation and indulgence. 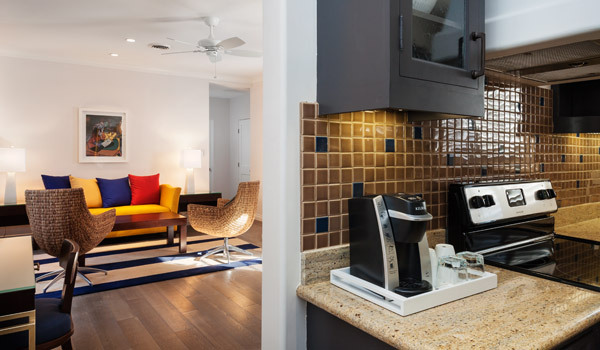 Large -flat screen televisions and free Wi-Fi ensure that you stay connected - but only if you want to. Your experience at Triada is only limited by your imagination. 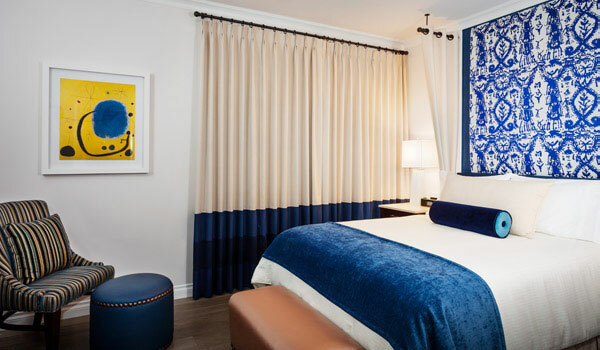 An inviting pillow-topped, king size mattress, an imported cotton duvet, marble bath and spa-style bathrobes ensure your absolute comfort. 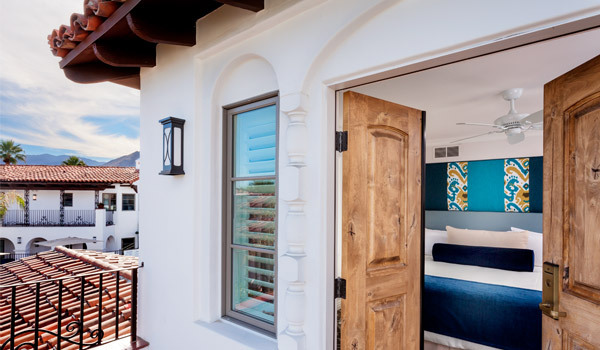 Mountain or courtyard views come standard with every room. 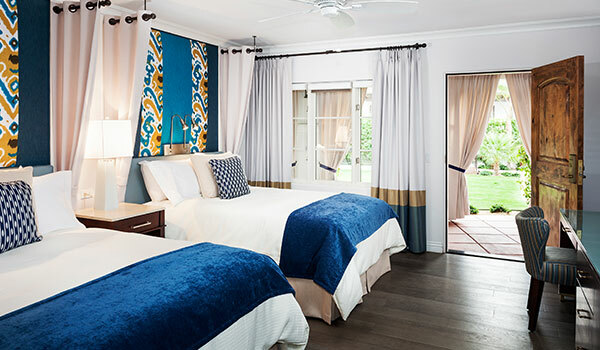 A more intimate experience, these rooms include all the same dream-inducing bedding, along with complimentary robes, organic toiletries, a marble bath and enchanting views of mountains or our inner courtyard. 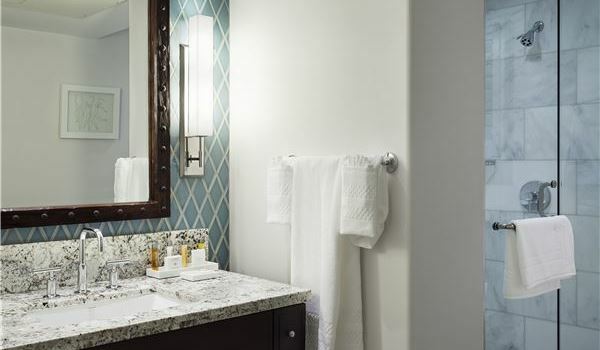 Enjoy all the same amenities as our standard rooms, with just a bit more room to spread out. 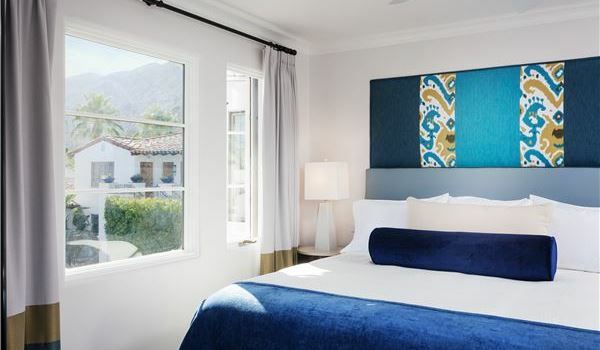 Offering two double beds, this room is perfect for friends traveling together, or those who simply prefer more space. 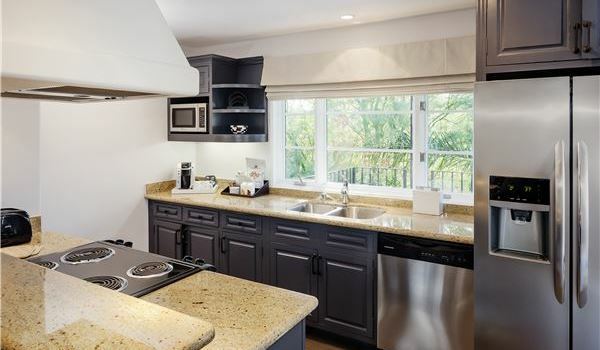 An open floor layout, featuring a fully-equipped kitchen, our King Casita is an excellent choice for those who desire a more convenient approach to travel, with all the comforts of home. 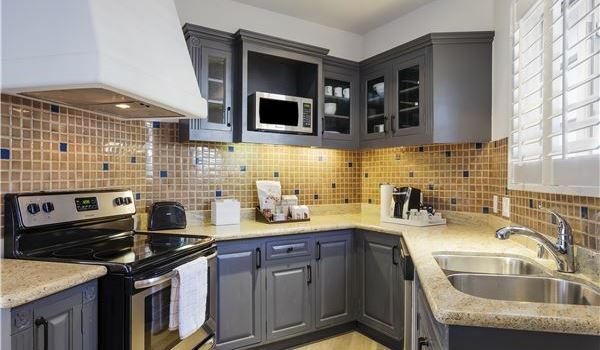 Our Queen Casita offers an open floor layout with a full kitchen. Appealing to those guests who prefer the comforts of home in a slightly more intimate package. 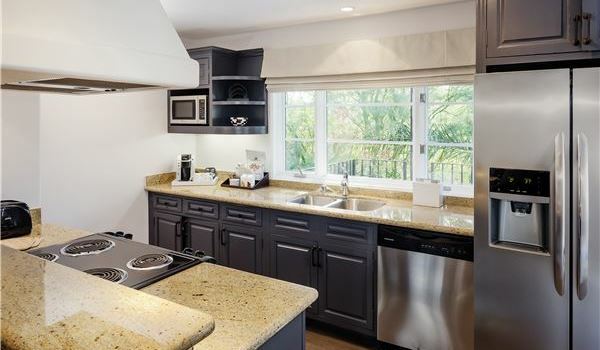 Views and conveniences abound. Traveling with a small group of friends or family? Try our Double Queen Casita and enjoy a spacious room with en-suite kitchen. All in a comfortable, charming package. 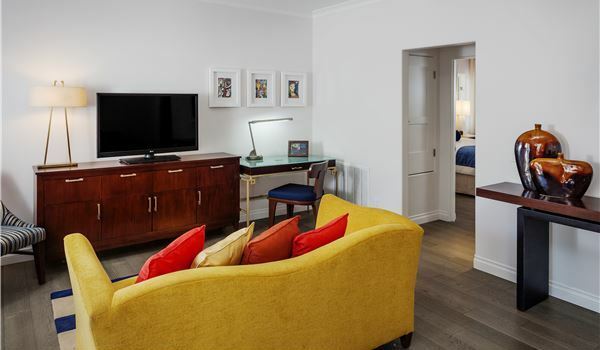 Our Junior Suite offers a comfortable king sized bed complete with sitting area and separate shower and soaking tub. 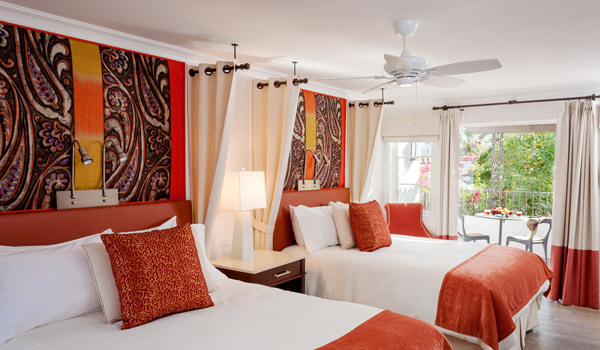 Our most spacious and distinctive suite, the Grand Casita offers a queen bed and separate living and kitchen areas. Rest in complete comfort surrounded by unique Spanish-hacienda style decor and furnishings. 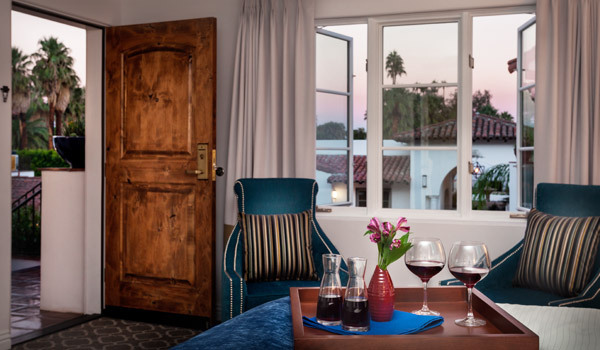 We have Classic Queen, Queen Casita and King Casita accessible hotel rooms available to ensure that our guests with disabilities, as well as friends and family who accompany them, have a comfortable stay. Note: Corresponding photos may not reflect specific accessible room types or features.